As the 2018/19 Bundesliga season approaches, fans around Germany and the rest of the world are asking themselves if this is the year that Bayern Munich’s title winning run will come to an end? Bayern Munich claimed a sixth consecutive Bundesliga title – a club and league record – with five games to spare back in April. Schalke 04, who finished as runners up, found themselves a massive 19 points behind Jupp Heynckes’ side at the season’s conclusion. Borussia Dortmund, Bayer Leverkusen, and TSG Hoffenheim were even further adrift. Going into the new campaign, however, Bayern are putting their faith in former Eintracht Frankfurt boss Niko Kovac, whose managerial credentials only go as far as two mid-table finishes with the Eagles – 11th (2016/17) and 8th (2017/18) – and a DFB Pokal win against Bayern Munich in May. Does this give Domenico Tedesco’s Schalke, Lucien Favre’s Dortmund, Julian Nagelsmann’s Hoffenheim or Heiko Herrlich’s Leverkusen an opportunity to bridge the gap and challenge for the Bundesliga crown? 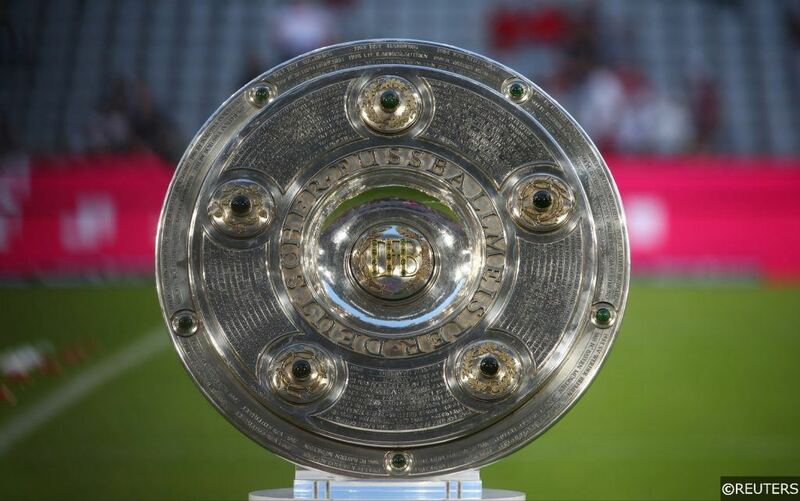 Find FST’s outright betting tips and predictions for the 2018/19 German Bundesliga below. Read More: Is the Premier League really the most competitive major league in Europe? For those unfamiliar with the nature of the German Bundesliga, simply put, when you compare Bayern Munich to the competition, there isn’t a single reason to bet against them. Bayern Munich might have taken a risk in hiring Niko Kovac, a manager who is “unproven” in terms of consistently guiding teams to trophies or titles, but given what he achieved over his two years at Eintracht Frankfurt, he has every right to be given a chance. And after Sunday’s German Super Cup fixture, where Bayern strolled to glory with a 5-0 win over Kovac’s former club, you’d have every reason to believe more success is just around the corner. Rivals Borussia Dortmund, now led by former-Nice manager Lucien Favre, are second favourites for the Bundesliga crown, but when you look at the bigger picture der BVB don’t really come close. Dortmund have had a rocky few years and have been through as many as four managers since the 16/17 season, something that might sound normal enough in the Premier League, but is very out of the ordinary by German standards. And while their squad undeniably has plenty of talent – Marco Reus, Maximillian Philipp, and Christian Pulisic to name just a few – Dortmund don’t have quality to the same extent that Bayern do. Now without 20+ goal a season striker Pierre Emerick Aubameyang or Chelsea-loanee Michy Batshuayi, the task of challenging for the title looks even more impossible. Moving on to the third favourites. RB Leipzig were Bayern’s nearest competitor in the 2016/17 season, finishing 2nd in their maiden top flight campaign. Surprising many with their innovative attacking football, the Red Bulls were expected to be contenders once again in the 17/18 campaign, however the strain of having to balance domestic and European competition clearly took its toll. The Red Bulls finished in 6th when all was said and done. Like Borussia Dortmund, RB Leipzig will begin the 18/19 campaign under the reigns of a new manager, Ralf Rangnick, and without a player who has been key to their success in recent years, Naby Keita. Not ideal. Bayer Leverkusen and Schalke are probably the two other Bundesliga teams you could consider realistic long shot contenders. Both were back among the top six last term after blips in the season prior – 12th and 10th placed finishes respectively – but neither has ever won the Bundesliga since the competitions inception back in 1963. No doubt these teams are quality in their own right, but it just seems a bit much to expect them to come out ahead of Bayern at the end of a 34 match season. Read More: Who is Borussia Dortmund’s Christian Pulisic? 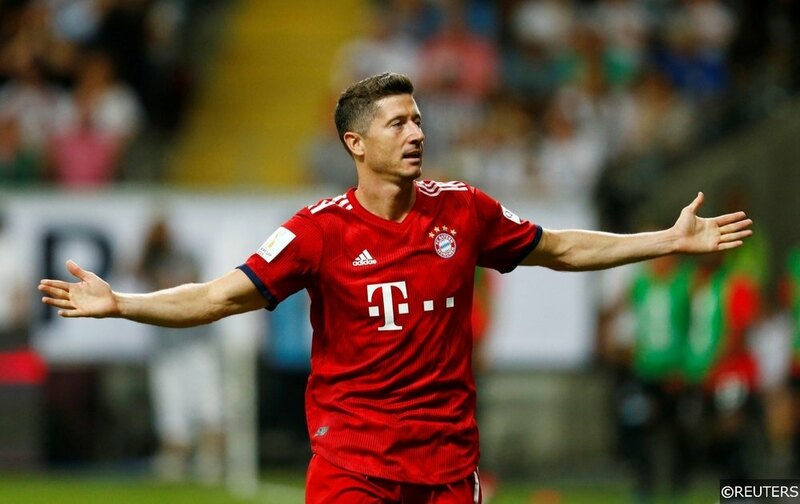 Bayern Munich’s success story goes hand in hand with Robert Lewandowski’s, and fortunately for the record champions, the story seems set to continue with coach Niko Kovac ruling out a possible departure of the prolific Polish striker. Averaging just under a goal per game last season, Lewandowski won the coveted Torjägerkanone (Top Scorer Cannon) for a third time and now sits seventh in the all-time list of Bundesliga goalscorers. He is the man to beat going into the new season. Lewandowski has got everything. Right foot, left foot, aerial ability, on penalties, and the best service in the league at his disposal. He’s the forward every team fears and he’s been doing it for years. Despite a disappointing World Cup with Poland, Lewandowski looked as sharp as ever in Bayern’s German Super Cup triumph last weekend and he’s no doubt keen to do one more thing before his next challenge: his 180 goals over eight seasons in Germany’s top-flight is just 12 goals short of Claudio Pizarro’s record as the league’s highest scoring non-German of all-time. As predictable as Bayern Munich winning the Bundesliga has come to be, after that, the Bundesliga is all but predictable. Germany’s top tier has many teams on a level just below Bayern, and that goes to show with four different runners up over the past four seasons. Ahead of the 18/19 campaign though, Schalke 04 look the most well-prepared (and best value) to rise above the rest. After a turbulant start to life under coach Domenico Tedesco, Schalke’s eventual 2nd place finish – their best top flight finish since 2010 – was cemented by a run that saw them win nine of their last twelve league outings (W9 D2 L1). Schalke’s form stemmed from the organisation and strength of their defense, but as the video above shows, they were also capable of pushing for goals if all else failed. Schalke are one of the toughest and most well-rounded teams in the Bundesliga. A lack of change since then is what puts Schalke ahead of the others for us. Coach Tedesco remains at the helm for the new campaign, and his summer transfers both strengthen his squad depth and play into his footballing philosophy – Salif Sane from Hannover 96, a center back who is defensively sound, good on the ball and provides aerial attacking threat from set pieces (4 goals in 32 games in 17/18), and forward Mark Uth from Hoffenheim (14 Bundesliga goals in 17/18), a potential challenger or partner for Austrian striker Guido Burgstaller up front, being two such signings. Leon Goretzka’s move to Bayern Munich has been their only significant departure, but that deal was settled back in December, so Tedesco has had plenty of time to prepare for this inevitability. Compare that to Schalke’s competition – Dortmund and Leipzig making big changes with new managers over the summer, Hoffenheim moving forward without players like Gnabry and Uth, Leverkusen’s unpredictability after last season’s inconsistency – and it’s reasonable to think that the Royal Blues should come out on top. Read More: What do Schalke fans think of Crystal Palace’s new signing? Since taking over mid-way through the 2015/16 season, coach Julian Nagelsmann has guided TSG Hoffenheim from the threat of relegation to back-to-back Champions League qualification with fourth (16/17) and third (17/18) place finishes. Some might have doubts about him going forward, having already announced that he will take over at RB Leipzig at the end of the 18/19 campaign, but he claims to remain ambitious for the club and is determined to make his final term in charge there his most successful to date. You wouldn’t be wrong in thinking that finishing in the top four once again will be a challenge either. Hoffenheim have lost some of their most important artillery over the summer, but that isn’t something Nagelsmann hasn’t found a way around in the past, adapating to the departures of Sebastian Rudy and Niklas Sule to Bayern Munich at the end of the 16/17 season. He is without a doubt one of Germany’s most talented coaches, he always seems to get the best out of his players, and he knows how to get results against the big teams. Hoffenheim have been the bane of Bayern Munich’s existence since Nagelsmann started his managerial career there, losing just one of their four meetings against them (W2 D1 L1), and a season opener against the reigning champions gives him the perfect platform to set the tone for another successful season. After a number of attempts at promotion in recent years, including a narrow play-off defeat to Eintracht Frankfurt in 2015/16, Nurnberg are finally back in the Bundesliga for the first time since the 2014 season with what is their eighth promotion to Germany’s top flight – a new record. Unfortunately, Der Club might be aiming for that record ninth promotion sooner rather than later. Nurnberg’s return to the top tier came in one of the most open Bundesliga 2 campaigns we’ve seen in a long time – their 60 point tally would only have been good enough for 4th place in the season before – and a lack of notable investment over the summer makes that step up to the next level look a tough ask. Coach Michael Kollner is no doubt an inspiration in terms of backstory, but the fact remains that taking over Nurnberg at the start of last season was the 48-year-old’s first senior managerial role after 15 years working with the DFB. Ultimately, coach Kollner’s lack of experience and Der Club’s limited transfer business make it hard to see them surviving come the close of the 18/19 season. A 13th placed finish for Hannover following a one year absence from the German top flight sounds all well and good, but it was their strong start to the season upon which their eventual safety was ensured. Andre Breitenreiter’s men collected almost a third of their eventual 39 points in the opening six matches (W3 D3), and standout wins against Borussia Dortmund and Hoffenheim later in 2017 became highlights of their season. Fast forward to 2018. Hannover’s form and morale nosedived and the North Germans ended the 17/18 campaign with defeats in eight of their last eleven Bundesliga outings (W1 D2 L8). Combine that with the ongoing friction between the owner and fans and there’s an almost tangible negativity hanging over the club. Hannover may have been able to hold onto top scorer Niklas Fullkrug going into the new season, but the departure of core players like center back Salif Sane (to Schalke), winger Felix Klaus (Wolfsburg) and forward Martin Harnik (to Bremen) won’t do them any favours. Hannover should be one of a few clubs battling down the bottom end of the Bundesliga this season. Categories: Blog, Football, and Season Outright Tips. Tags: Bayern Munich, Bundesliga Betting Tips, Bundesliga Outrights, German Bundesliga, Germany, Robert Lewandowski, and Schalke. Team Tag: Bayer Leverkusen, bayern munich, Borussia Dortmund, Hannover, Hoffenheim, Nurnberg, rb leipzig, and Schalke. League: German Bundesliga. Sports: Football.